Our clients have experienced the highest quality service and repair work on their vehicles. Find out what the all the fuss is about and choose from one of the 38 mobile mechanics in Lubemobile has in your area for you next service or repair work and have everything taken care of without having to go anywhere are at all. Join the satisfied customers who have already left us over 45 positive reviews in the Brisbane Metro region tell us how great your mobile mechanic was. Your team were excellent and I was really pleased with their customer service and the work they did on the car. Very impressed. Good on you all! Your mechanic will arrive at your preferred location with everything they need to service your vehicle. When we say ‘mobile mechanic’ we really mean it. No matter the make and model of your car, we guarantee that the professional who arrives at your job will have what they need to complete a full service, on the spot. 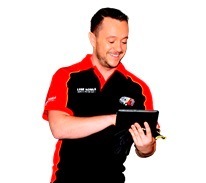 Most recently, our mechanics have commonly serviced Toyota, Holden and Ford. All vehicle types are serviced on location so there’s no need to have anything taken into a workshop. Our most recent services in your area have included Volkswagen, Ford and Land Rover. Fully equipped mechanics mean that whatever is required for your vehicle is available quickly. We use only the highest quality parts like distributor, lifters and slave cylinder. Have your vehicle repaired on serviced in The Gap with the least fuss and hassle. You don’t even have to leave the house if you don’t want to. We will come to your chosen location when you want us to be there and take care of everything on the spot. 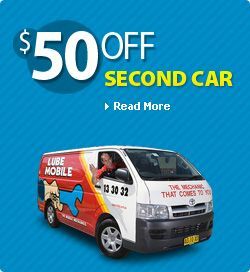 Lubemobile mechanics are Australia’s #1 mobile mechanic fleet servicing vehicles in all locations including Bowen Hills, New Farm and Brendale. When your car needs to be worked on, book the mechanic who will get the job done on time, wherever you want them to carry out the work. Lubemobile mechanics have serviced over 2,213 vehicles in your area alone over the last 3 months, and while our most popular vehicle service in your area is typically Log book servicing, your mobile professional mechanic is able to complete a range of vehicles work including fixing a leaking master cylinder , ball joint replacement. Our specialist tyre fleet will even carry out jobs like on site tyre replacement.